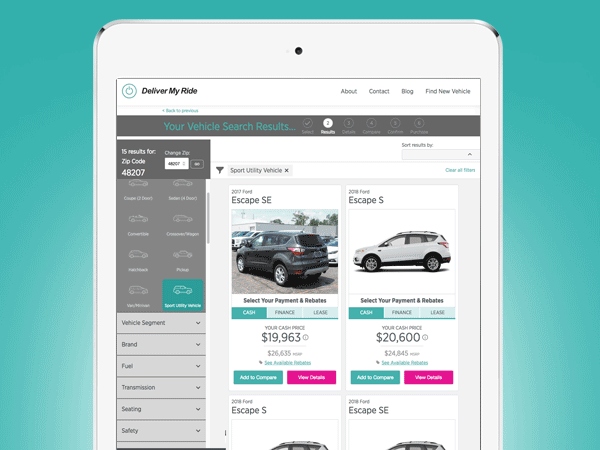 The platform creates a way to buy or lease a new car online from dealer inventory, offering pre-negotiated pricing, normalized equipment terms to compare models and brands, penny-specific pricing and payments that include dealer fees and state taxes, do-it-yourself calculators to customize payments, a built-in credit application, and free home or office delivery. “We take the haggle out of car buying, help customers save time and money, and keep customers from being bombarded with sales calls and pitches,” says Michael McInerney, president and CEO of Deliver My Ride. “Deliver My Ride’s website does not capture lead data to sell to dealers. Instead, we built an open and free platform, so customers can shop anonymously. Our inventory is current stock on our partner dealers’ lots, and all pricing is fully disclosed and pre-negotiated to ensure a fair, competitive price. He adds consumers today have access to multiple research options, but in the vast majority of cases, they still need to visit a dealership to actually buy a car.